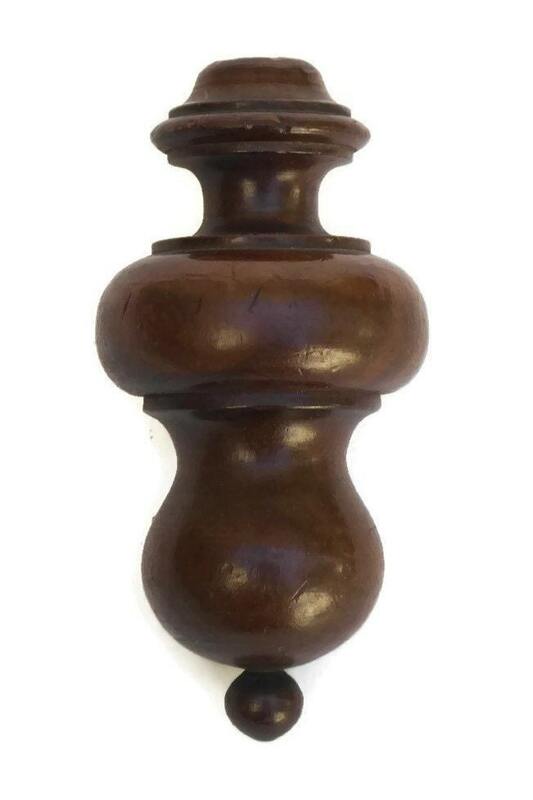 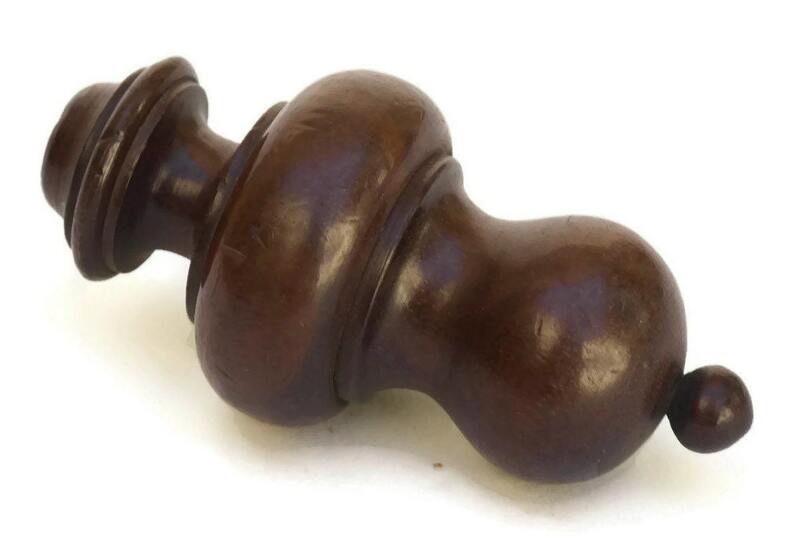 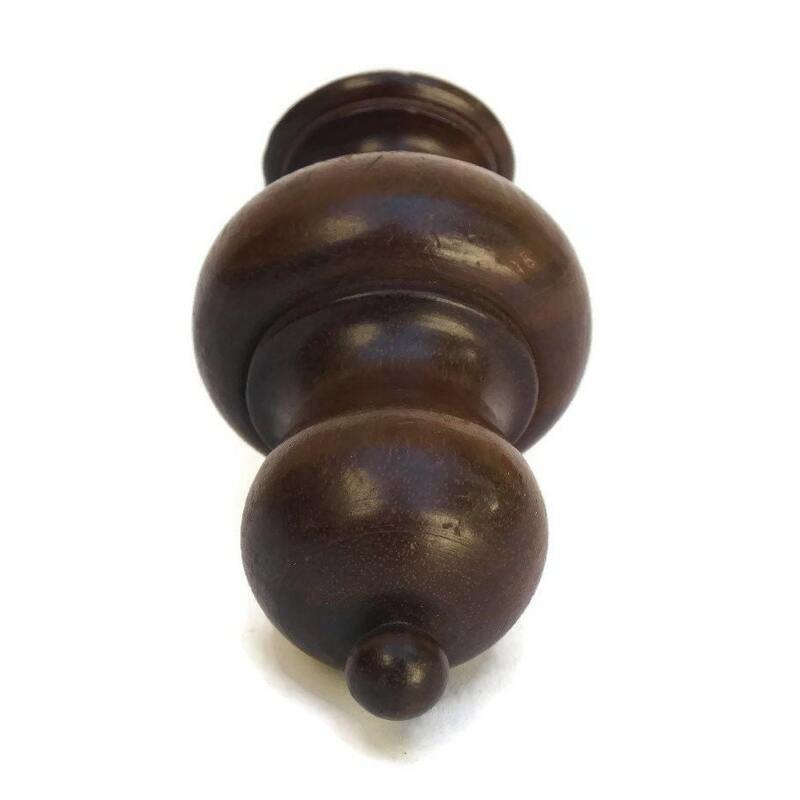 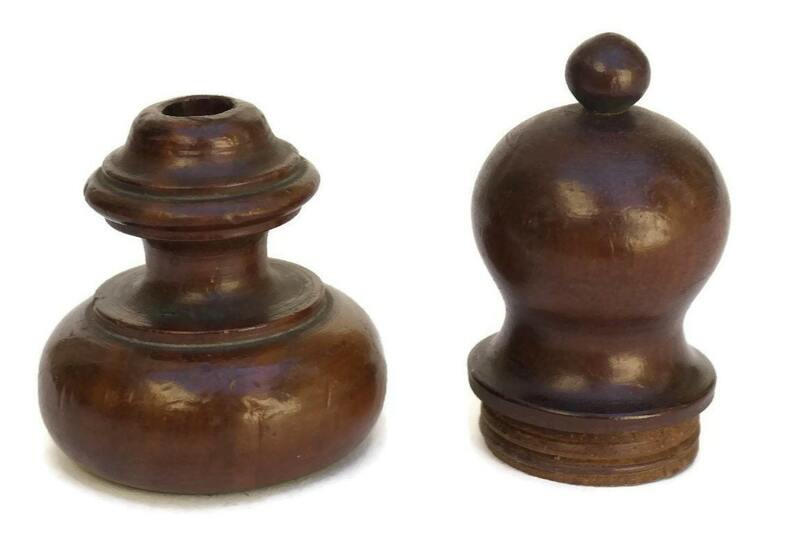 A French antique wooden curtain pull dating from the 1800s. 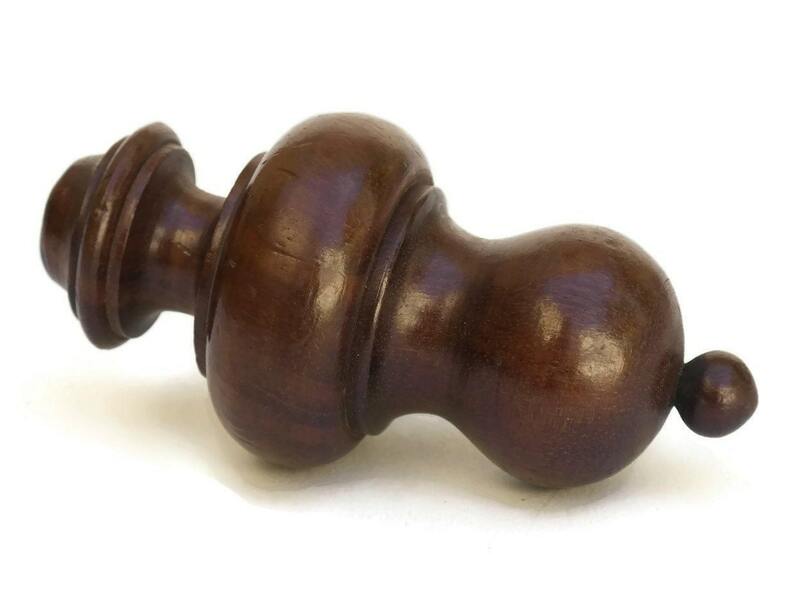 The acorn tassel has been made from turned wood and is the perfect accessory for a cord on drapery, bathroom lights, blinds or shades. 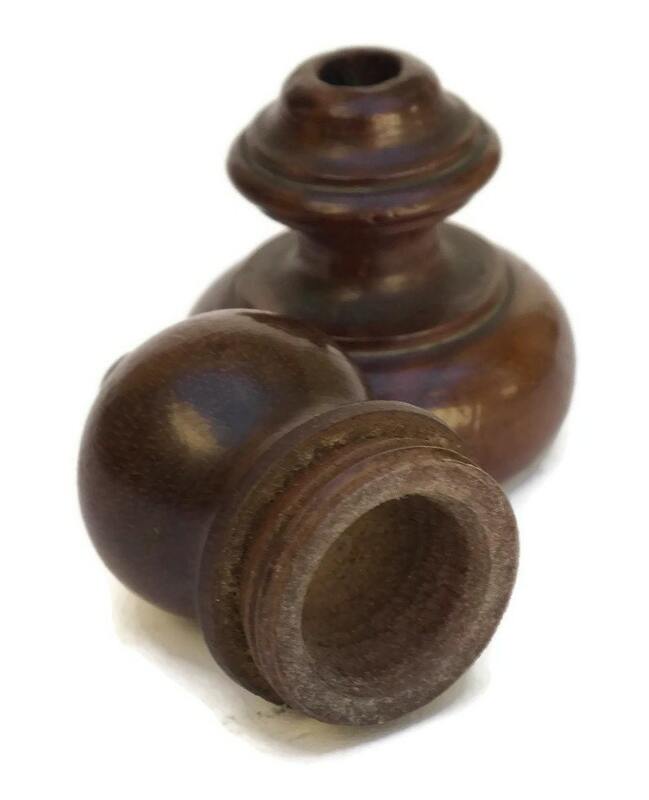 The top section can be unscrewed to allow for a pull cord to be inserted and knotted in the interior. 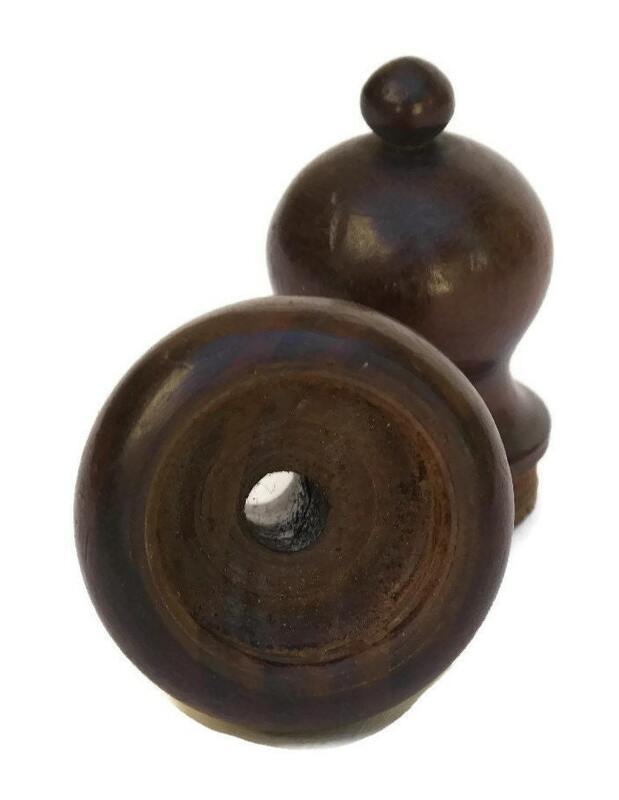 (9 cm x 4 cm). 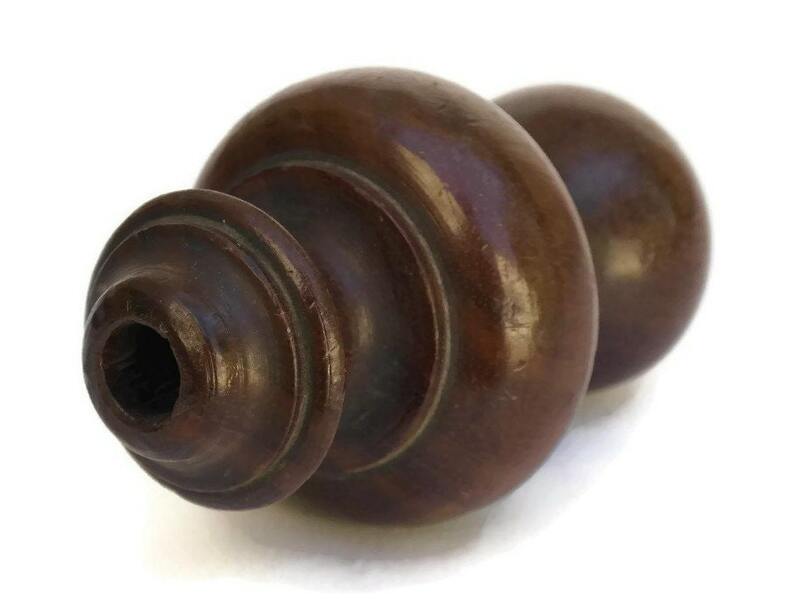 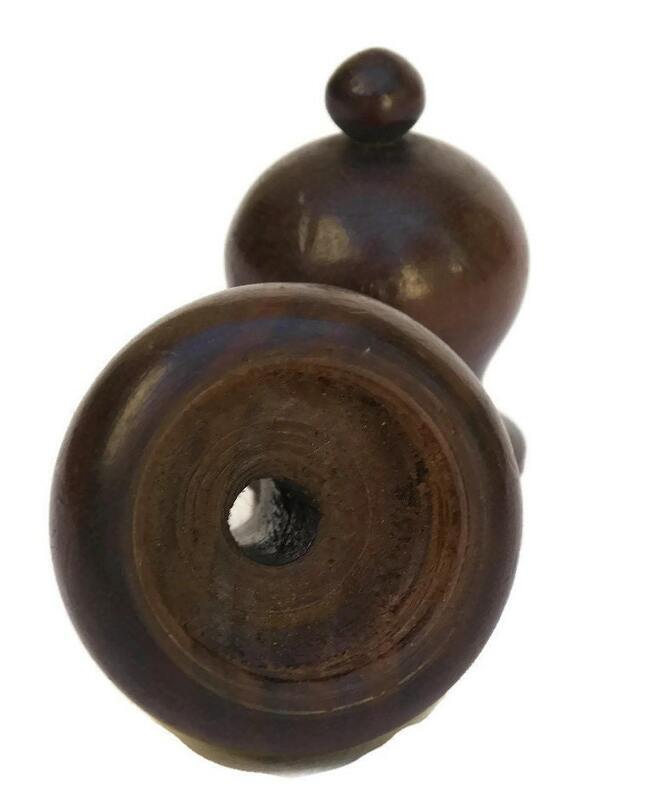 The French antique curtain cord pull is in very good condition with a rich patina to the wood and light signs of age.